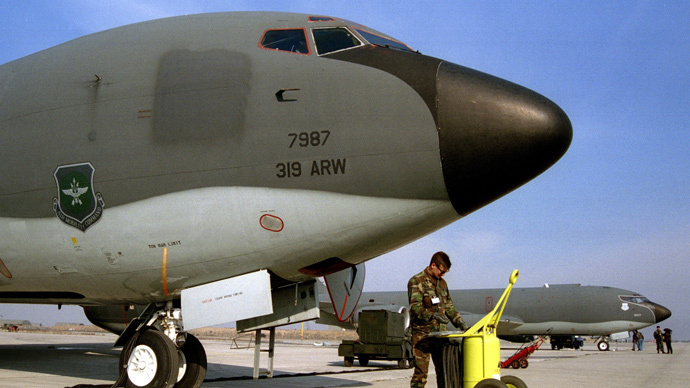 A US Air Force refueling jet, which vanished from radar after declaring an in-flight emergency over the English Channel, has landed safely, according to reports. The Boeing C-135 aircraft, which took off from Amiens in France shortly after midnight, was seen on flight tracking websites flying between Dover and Calais before it suddenly disappeared, according to the Express. It experienced problems at about 12.20am according to Press Association reports, but it is not known what caused the in-flight emergency. The jet, which uses the call sign QID72, returned to its base at RAF Mildenhall, Suffolk with no reported injuries, the Air Refueling Wing said. Boeing C-135’s are used to refuel other planes in mid-flight and can carry up to 31,000 gallons of fuel.